The sharing of scripture is a way to keep the Word alive. We like to study the Bible, contemplate and share inspirational verses. We also like to feature churches that spread the Word. Thank you for visiting. Please share the Word! “Let not your hearts be troubled; believe in God, believe also in me. In my Father’s house are many rooms; if it were not so, would I have told you that I go to prepare a place for you? And when I go and prepare a place for you, I will come again and will take you to myself, that where I am you may be also." Learn more about what Christ has prepared for you at the Trinity Church of the Nazarene, one church with two houses of worship in Los Angeles County, one in Monterey Park and one in Rowland Heights. Trinity Church is a diverse community of faith. They strive to be a welcoming church that includes people from various cultures and backgrounds. With congregations serving the English-speaking, Spanish, Chinese, and Filipino communities, and members spanning five generations, Trinity Church of the Nazarene is a multi-ethnic, multi-lingual, multi-generational church that draws people from all over Los Angeles County. Trinity Church of the Nazarene offers an interactive class, Starting Point, that helps familiarize newcomers with Trinity Church and their various programs and ministries. In this one-hour session, pastors will share the church’s story, values and mission, and how you and your family can get involved and grow in your relationship with God. For those who would like to learn more about the Christian faith, they offer a follow-up class that explains the church's core beliefs and practices. If you live near one the community of Monterey Park or Rowland Heights, why not visit one of these two houses of worship and Christian learning to hear more about The Word? Today, thinking about the great Martin Luther King Jr., we look at four verses from Matthew. How wonderful our world would be if we could all follow the commandment "You shall love your neighbor as yourself." There would be a lot less stress and no war! Today we feature Trinity Baptist Church in Los Angeles, California. The church is holding several special events today to especially celebrate Martin Luther King, Jr. Day. It is a primary aim of Trinity Baptist Church to share the Word, as they proclaim on their website, "If you are a seeker, let us share with you what we have found in Him." Trinity Baptist Church invites you experience the glory of God with them, to praise God with their congregation. "As you worship with us today, please feel free to praise God and lift your hands to His Word." Church is a Place for Worship – The primary reason we meet together is to focus our attention on God, giving Him our worship and receiving His blessing and inspiration. Each of those occasions is a special time of spiritual refreshment. We hope this is what you experience today, and we certainly hope to see you again very soon. Church is a Place for Service – Just as Jesus Christ came “not to be ministered unto, but to minister,” we accept our responsibility to reach out in service to others. This applies both within the church family and outside our fellowship. 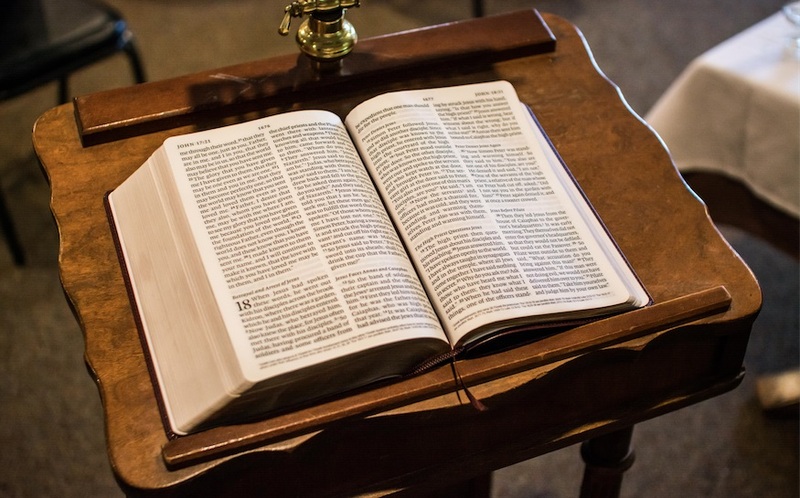 Church is a Place for Learning – To us studying the Bible is vital because it not only instructs us intellectually, but also guides us spiritually. We believe it and accept it as God’s Word to man, a Book that is alive and relevant to life today. Learning its truth is a thrilling adventure. Church is a Place for Enrichment – For every person at every age level we offer a wealth of opportunities – programs and ministries for children, youth and adults which fill the church calendar. You can be sure that in this kaleidoscope of activities there’s more than one place where you can be personally enriched. Church is a Place for Friendship – Nothing quite compares to the joy of Christian friendship. That’s why we make it a priority to build lasting bonds between the members of our church family-bond of concern and genuine commitment to one another. Best of all, this circle of care is ever-widening. If you live in the area or just visiting, be sure to drop into Trinity Baptist Church! Jesus said to him, “I am the way, and the truth, and the life; no one comes to the Father, but by me." Merry Christmas! This weekend Trinity Cross Jewelry is featuring Holy Trinity Church in Atwater Village, California. Holy Trinity Church is a neighborhood church in Atwater Village, California. It was established in 1925 and is under the pastorate of Fr. Ricardo Viveros. Holy Trinity has retained traditional styles that make Catholic churches distinctive and reflect their parishioner's intimate relationship with Jesus Christ and His Real Presence in the Blessed Sacrament. See the many mass and devotional offerings scheduled on the church website under Worship. This Sunday on Christmas Day there will be four masses beginning at Midnight, 8am, 10am, 12pm and 1:30pm. Visit their website here. The first verse we'd like to share is the key to the Christian faith. Today we feature Holy Trinity Evangelical Lutheran Church in Inglewood, California. Their "Statement of Faith" reflects their understanding of the Word. "Lutherans believe in the Triune God. God created and loves all of creation — the earth and the seas and all of the world’s inhabitants. We believe that God’s Son, Jesus Christ, transforms lives through his death on the cross and his new life, and we trust that God’s Spirit is active in the world. " “Behold, I am doing a new thing…” On October 1, 2017 Holy Trinity Evangelical Lutheran Church welcomed a new leader, Pastor James Phillips, who formerly led Our Redeemer Church in Washington, DC. You can find the Word at this church; worship at the 10:30 am Sunday Service. Visit their website here.